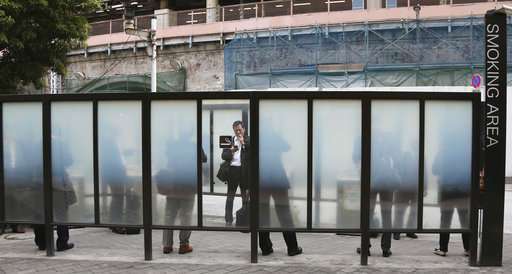 Japan should ban smoking in all public places if it wants to successfully host the Tokyo Olympics and promote tourism, a senior World Health Organization official said Friday. Japan, often known as a smoker's paradise, has no binding law controlling secondhand smoking and has come under pressure to institute one ahead of the 2020 Olympic Games. The health ministry is preparing legislation to limit secondhand smoking, but faces strong opposition from smoking lawmakers and the tobacco industry. WHO and the International Olympic Committee agreed in 2010 to promote smoke-free Olympic Games, and host nations China, Russia and Brazil have since achieved that goal. 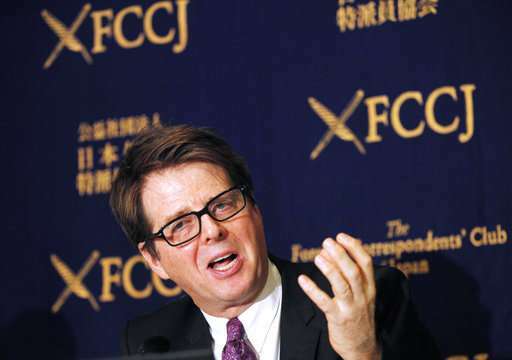 Douglas Bettcher, WHO director of non-communicable diseases prevention, said Japanese smoking restrictions are far behind global standards and need to be updated because foreign visitors expect clean air while in Japan. He said partial anti-smoking measures are ineffective and that the ministry's draft, while an improvement, should be strengthened. 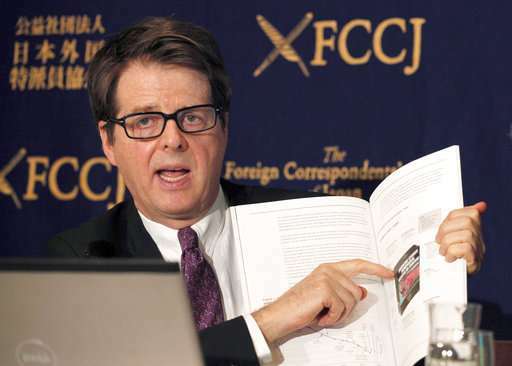 "The time is right for Japan to finally catch up now with the Olympics just around the corner," Bettcher said at a news conference. He said it was a "golden opportunity for Japan to better protect its people from the deadly effects of exposure to secondhand smoke." The ministry draft, issued in early March, provides for a ban on indoor smoking in government and sports facilities, but allows partial bans with the use of smoking rooms in offices, theaters, restaurants and bars. Smoking would be allowed in small bars and cafes, following protests by opponents who cited fears of losing customers who smoke. 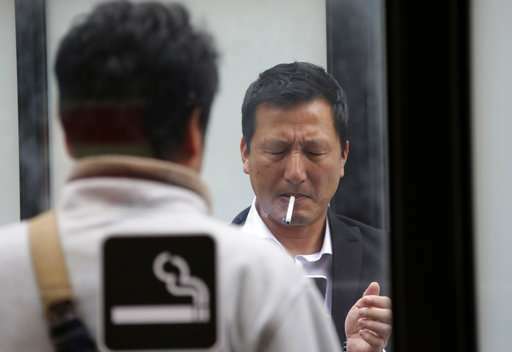 Supporters of a stricter smoking ban say the government is weak-kneed because Japan's tobacco industry, former state monopoly Japan Tobacco, is still one-third state-owned. Finance Minister Taro Aso told a recent parliamentary session that tobacco sales provide more than 2 trillion yen ($19 billion) in tax revenues annually and a loss of that income would have a major impact on government finances. A smoker himself, Aso questioned the link between smoking and health problems. Japanese Olympics organizers say smoking will be prohibited in indoor facilities at the Tokyo games. Bettcher said concerns about the economic impact on the hospitality industry are exaggerated, and that smoking control measures protect all citizens from exposure to second- and third-hand smoke—toxic and carcinogenic particles that linger in fabrics, curtains in hotel rooms and elsewhere. 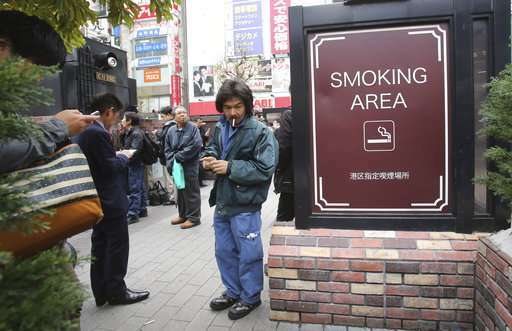 Surveys in Japan on the impact of a smoking ban have had mixed results—one predicts a billion-dollar sales decline in restaurants and bars, while another says more people will choose to dine out if restaurants are smoke-free. Bettcher said Japan also lags in providing health warnings to its people, citing the absence of graphic photo warnings on cigarette packs. In Japan, about 15,000 people—mainly women and children—die per year from secondhand smoke, according to government and WHO estimates. WHO should stay out of sovereign nation's bidness. I hope Japan serves whale meat to vegans.